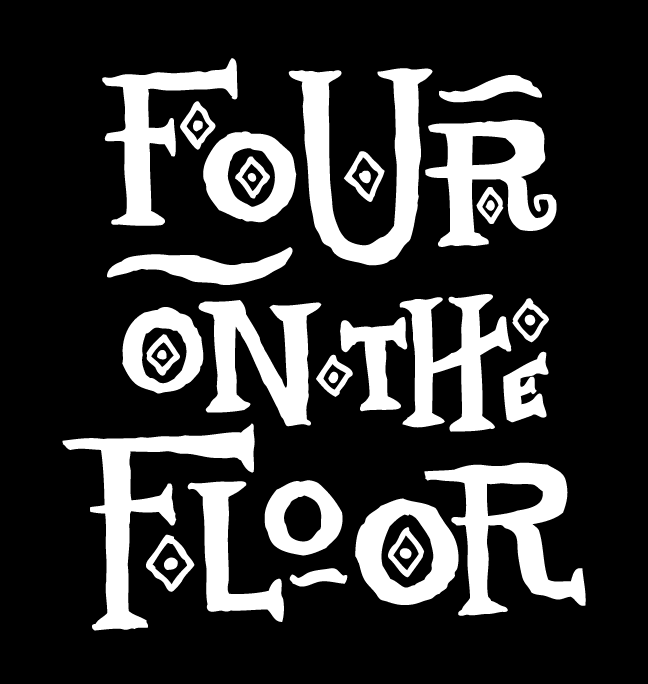 It's not often that I feature non-drummers here on Four on the Four but I'm always willing to make exceptions for the likes of Toronto bassist Mike Downes. I first met Mike when I was still in high school back in the mid 90s and to this day I consider him to be one of the world's great Jazz bassists and he is one of the hardest working people I know. He is a consummate musician, a wonderful person and an example for us all to follow. Downes and his all-star band from Toronto (including Larnell Lewis on drums!) will be performing in Calgary on November 8th (sorry folks...this exclusive concert is already sold out!). On the eve of this highly anticipated performance and on the heels of his second (!) Juno award for his recent album "Root Structure", Mike was nice enough to take some time out of his busy schedule to answer a few questions about himself and his music. My latest recording is called “Root Structure.” It won the 2018 JUNO for Jazz Album of the Year: Solo and is a follow up to our 2014 JUNO winning album “Ripple Effect.” It features 2016 JUNO winner Robi Botos, two-time Grammy winner Larnell Lewis (with Snarky Puppy), JUNO winner/nominee Ted Quinlan and myself. In a more tangible sense, I had recorded music for an 11-piece group (“In the Current”) and I distilled many of the musical colours and structural ideas from that large ensemble to expand the possibilities of the quartet. The musicians are some of my favourite musicians in the world. We have been playing together in many different contexts, and the musical chemistry is magical. I wanted to have the intimacy of a quartet, yet use different guitar/keyboard, etc. timbres to expand the sonic palette of the quartet. I have often recorded with horns, but I was hearing something else for this recording. All of my compositions have an emotional space that they occupy, and I try to make musical choices that bring that emotional space directly and powerfully to the listener. I don’t expect any two listeners to react the same way to the music, but I do hope it stirs something inside them that inspires them to dig deeper in their own lives. 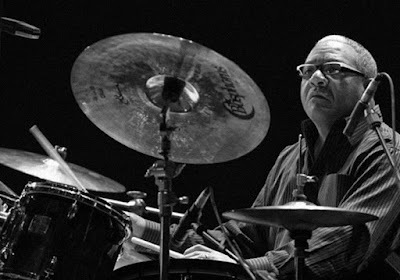 A few that come to mind are Brian Blade and the Fellowship Band, Brad Mehldau, Wayne Shorter and Pat Metheny. I’m listening to a lot of symphonic music. I’m writing more music for my 11-piece band, so I’m listening to Gil Evans, Bob Brookmeyer and other composers/arrangers. As far as practicing, I’m so busy that I’m mostly practicing music that I have to perform or record! When I get a chance, I’ve been working on independence exercises as well. I have a bunch of projects on the go. 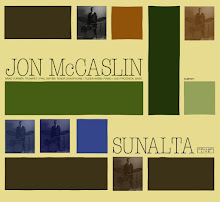 I produced an album that will be released this month with Ron Davis entitled “SympRONica UpFront” for jazz group and string quartet, I am co-producing a Joni Mitchell project with Yvette Tollar, I’m writing arrangements for a show with Molly Johnson and orchestra, writing music for my next recording, and playing with a lot of great musicians. 8) How does the bass and your overall approach to rhythm factor into your compositions and concept? I rarely write music on the bass, but I always treat the bass line as a secondary (or even primary) melody. In that respect, I am acutely aware of the top and bottom melodies in music. Rhythm always plays a huge part in my compositions and playing. Playing with rhythms brings me a lot of joy, so I’m sure that factors into my music in a big way. 9) What bassists (or other musicians) do you consider as influences? I have far too many influences to name, but some of my favourite bassists include Ray Brown, Scott LaFaro, Oscar Pettiford, Israel Crosby, Paul McCartney and Edgar Meyer. Sonny Rollins, Clifford Brown and Hampton Hawes come to mind as players who have had a big influence on my approach. Stay passionate, stay curious, be comfortable with a vision that is farther ahead of where you are now and work hard. Kobie Watkins sent me his latest upcoming musical offering "Movement" featuring his band the Grouptet. 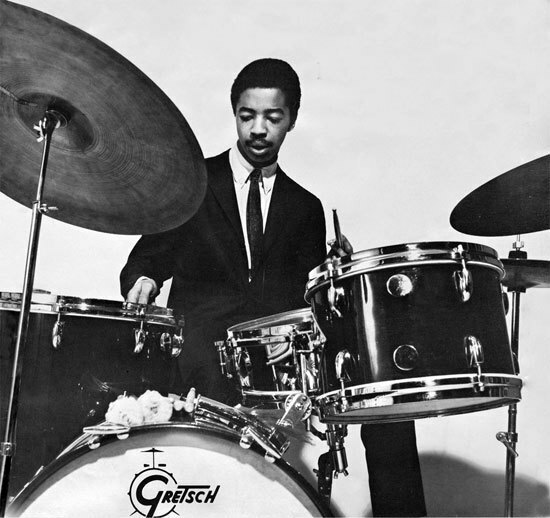 I first heard Watkins as a member of the Spin Quartet on the album "In Circles" (Origin Records) featuring him with a group of great Chicago Jazz musicians. 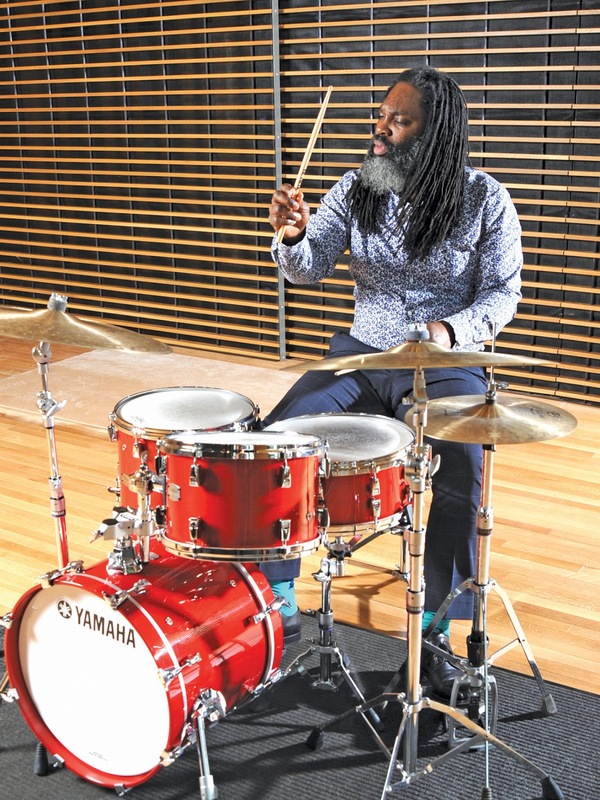 I was very impressed with his drumming so naturally I was very interested to hear what he came up with as a composer and leader of his own project. Movement is an album about dance music that lives in your spirit and body. It’s about you the listener and how this music grooves with you. This album tells us it’s okay to still dance and to dance to jazz music. The songs on this album, I’ve been writing since 2008 (I’m still writing them, believe it or not). The songs "Rivet" and "Movement" are the most recent songs added to the list and "MBDC" (the real name for these acronyms I lost) was written in Africa in 2008. Since then the songs I wrote on this album have stuck with my spirit and how I want to present music on my second album. The band was a total God send. We met and played together from my transplant years to Idaho. Justin Nielsen and I worked and played together at a performing and visual arts school in Eagle, Idaho (2010). During that time I met Ryan Nielsen (yes Justin’s real brother) at the school where he performed his original composition "Able Suite” and of course a jam session. Later in 2014 Ryan (Classical and Jazz Trumpet Professor) and I worked together in Rexburg, Idaho (BYU-I) and a year later Aaron Miller (bassist) came back as the professor of Classical and Jazz Bass and we met and played at the student jam session. 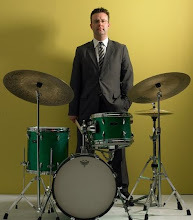 Jonathan Armstrong started working at Idaho State University as head of the Jazz Department. (2016) and we played his original music in a recital. These were immediate musical and spiritual connections, nothing political. These guys can just play (as you can here on the album). Let me just state the obvious: it was all a process and I (you) have to be patient in it. I’m inspired by how music moves me and people all over the world. Music and dance, I’ve learned, breaks language barriers. You no longer have to speak Swahili, Japanese or English to speak music so as I wrote these songs this was my feeling while writing and discovering my natural inclinations. The instrumentation comes from listening to great jazz quintets and they’re horn blends (Dizzy Gillespie and Charlie Parker, Roy Hargrove and Ron Blake, Miles Davis and John Coltrane, Wynton and Branford Marsalis, Art Farmer and Benny Golson, Cannonball and Nat Adderley, to name a few). The modern sound of my writing and approach help me and the Grouptet make these instrumentation choices. If you don’t have the players/friends with the sound or potential, the search process must continue. DANCE…on every performance and every listen. Make dance your outlet and avenue of expression through this and all music that interest you to Move. There was a time when jazz was mentioned, and you knew there would be dancing (though I never grew up then, I've heard stories and read some as well). Artist and genres that influenced my writing include: Sonny Rollins, Branford Marsalis, Jeff Watts, Asa Watkins, Bobby Broom, Dexter Gordon, Thomas Whitfield, Stevie Wonder, Jarrard Harris, Kenny Garrett, Wayne Shorter. These people, I’ve memorized their musical signatures and creative style; singing and transcribing their melodies, solos and vamps. I’m currently practicing ostinatos, bass drum and hi hat figures with triplet options with my hands and always practicing singles, doubles, and reconfiguring all forms of paradiddles. Researching: string sounds and articulations. Listening to gospel, classical, Brazilian, latin, big band and vocal jazz. Studying/reading: "Creativity the Perfect Crime" and "Born to Run". My album release concert is on Friday, October 26th at the Durham Fruit Co. in Durham North Carolina. Next February 2019 the Grouptet will premier with the Idaho State Civic Symphony six of my compositions arranged for crchestra. 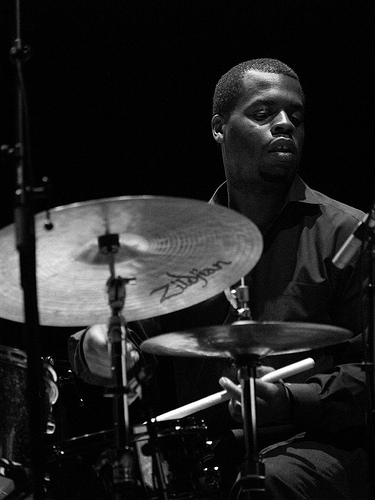 “The Kobie Watkins Grouptet Symphony Sessions feat. ISCS" will be performed in Pocatello, Idaho conducted by Julie Sorenson (undergraduate peer and now colleague). 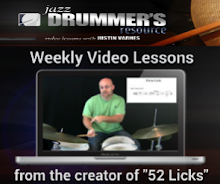 8) How do the drums and overall approach to rhythm factor into your compositions and concept? I sing the melody I hear and I play the drums after. The melody has enough rhythmic possibilities for a drum groove or feel that I rarely think about the drums as the first approach to the composition. Drums of course do play a healthy roll in how the composition or arrangement develops. The drum part solidifies my melodic hopes. For example, the song "Rivet" on this album has a flowing rhythmic melody but isn’t over instructed by drum riffs. MBDC is nothing but rhythm most of the melody sits on the syncopation of the beat. I’m a musician cultured by Rhythm, Melody and Harmony, influenced deeply by sound. 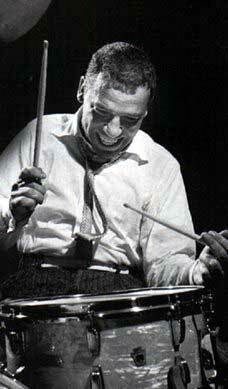 9) What drummers & other instrumentalists do you consider as influences? Alious C Watkins, Art Blakey, Elvin Jones, Buddy Rich, Philly Joe Jones, Jimmy Cobb, Max Roach, Dennis Chambers, Dave Weckl, Michael Williams, Oscar Seaton, Dana Davis, Kevin Brunson, Joel Smith, Earth, Wind and Fire, The Pharohs, The Winans, Clark Sisters, Kim Burrell, Arlindo Cruz. My advice for young drummers would be to listen to music, not for what you can do to “improve it” but what musical messages are being conveyed. Meaning: can I/ you hear and sing the other instrument parts? What are the other instruments and are they real musicians? Can you follow the form? Can you sing the melody louder than you’re playing? 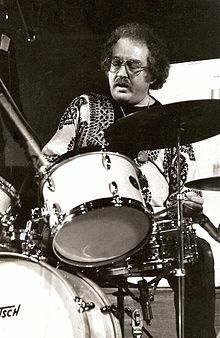 I believe all drummers should spend some time at the piano (I’m not a functional pianist, but I can find what I need). Playing slow is just as important as playing fast, if not more. Continue to be the best musician/ drummer you can be. It’s fun and competitive, sometimes even physically painful, but rewarding, however one ends their groove for the moment or day. 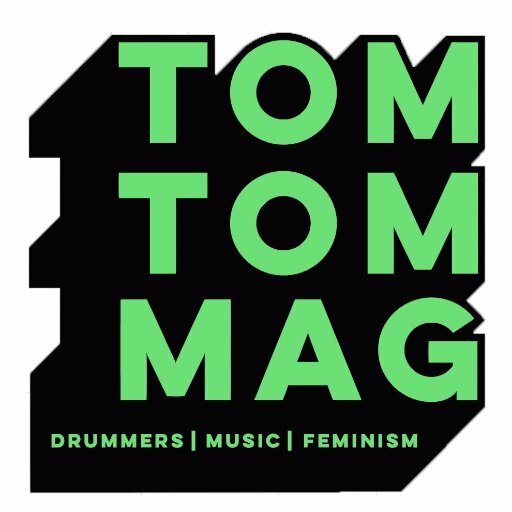 Young Ladies and Gentlemen: I honestly don’t believe there are bad (horrible) drummers, just drummers who do a horrible job of listening effectively. Another importance: please learn music theory. It’s better to have it and not need it than need it and not have it. Music theory is not just reading music it’s also arranging instruments and sounds. It’s balancing compositional decisions (sometimes in the moment). You can learn a lot by being more than just the drummer. 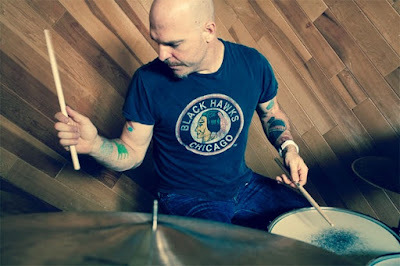 I was lucky to hear King with the Bad Plus at Ronnie Scott's in London, England in 2010 and was impressed with his creativity, imagination and musical sensitivity. 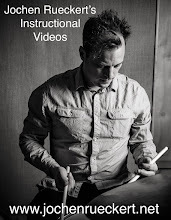 Chris has done an excellent job of breaking down and explaining Mel's unique approach to drumming that served both small and large Jazz ensembles alike. Furthermore, if you watch this video you'll see some rare, up close footage of Mel in action which I've never seen before and we are fortunate to have available for us to see. Thanks again Chris and keep 'em coming! 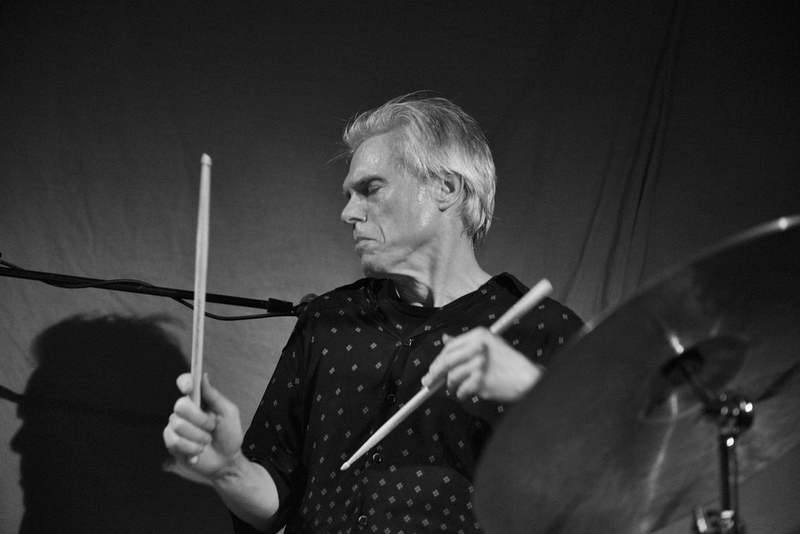 A few great spots of Gerry Hemingway today, a wonderfully unique drummer/percussionist/improviser whom I started checking out thanks to suggestions from Toronto's Nick Fraser, following my call awhile back for some recommendations for great works for improvised solo drums. As you can see above, Dana is a ferocious player and incredibly musical; exactly what we should all be striving towards (and that is: all ears, all the time!) I've been fortunate to take a lesson with Dr. Hall in the past and he's a great educator too. Whenever I have questions about specific Afro-Cuban rhythms or approaches to playing Latin Jazz music, Berroa is always my go-to resource to figure things out.